How silently do owls fly? Find out yourself at the end of each program as an owl flies back to its perch! 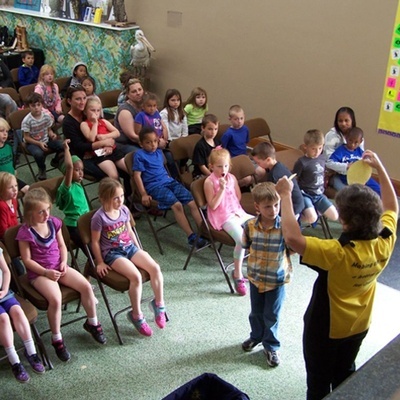 A variety of different programs are offered based on the people present in the audience, but you might learn to identify owls by their silhouettes and sounds, learn about owl adaptations, discover the drama that goes on in the lives of wild owls, play a game show, or "build an owl." 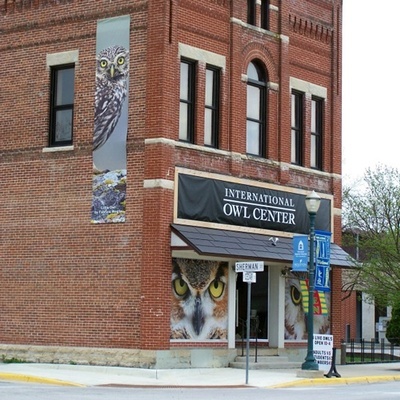 Located 30 miles east of Lanesboro in Houston, Minn., the International Owl Center is the only all-owl education center in the United States. 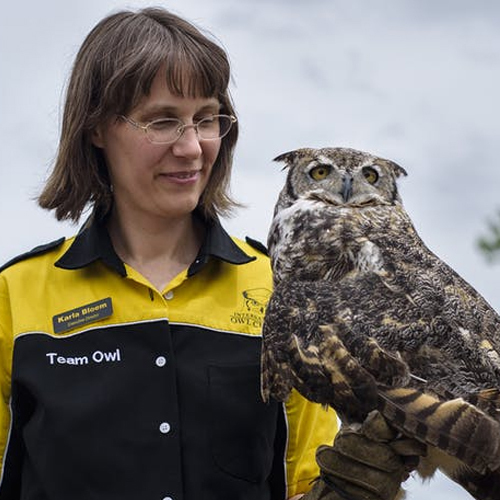 It started with Alice the Great Horned Owl, who fell out of her nest at three weeks of age and permanently injured her wing. She went to work as an education bird with Karla Bloem at the Houston Nature Center, where the Festival of Owls was created as a celebration of Alice’s hatch-day. 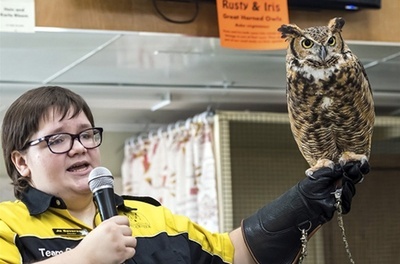 As the Festival grew to international proportions and attendance soared, the International Owl Center was launched as its own non-profit organization to focus on owl education. Alice is now semi-retired and younger owls have come on staff to do the bulk of the work. The mission of the International Owl Center is to make the world a better place for owls through education and research. 11:00 a.m. and 2:00 p.m.